Our friends at the Postal Museum are working hard to prepare a section of the Post Office Mail Rail at Mount Pleasant for passenger rides in 2017: previously it famously carried post and parcels beneath London on electrified narrow gauge tracks. 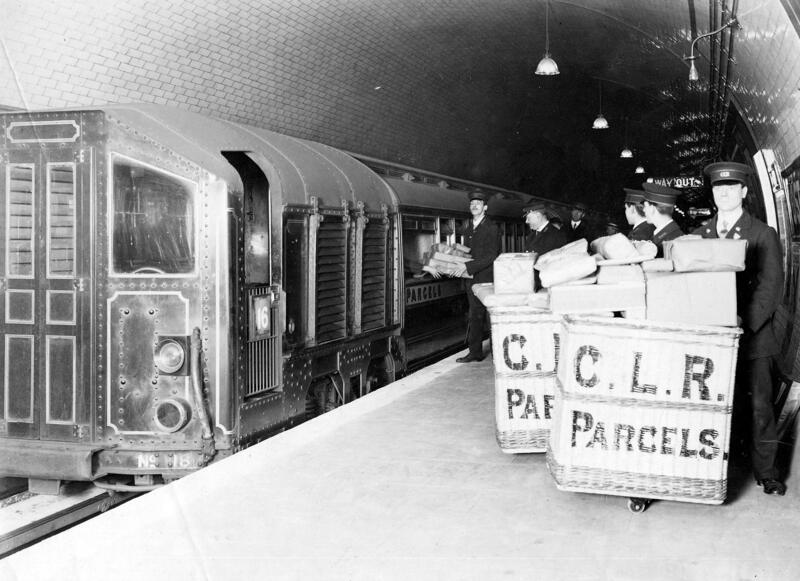 But what is lesser known is that for a short while, London’s Underground was also used for the delivery of parcels. 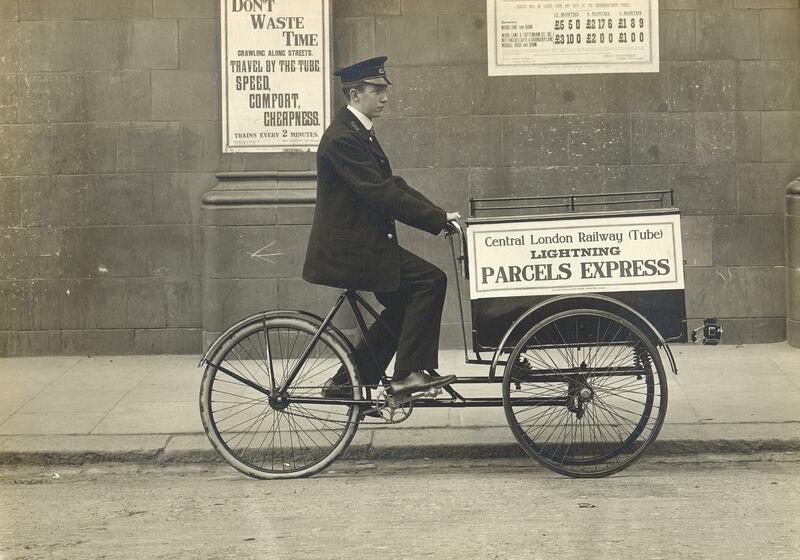 In the years leading up to the First World War, the Central London Railway (CLR, now Central line) ran a parcels delivery service known as the Lightning Service Express. This originated at Post Office station (now St. Paul’s) where the General Post Office was situated. Wicker hampers, as seen in the photo above, were used to convey parcels between the surface and the platform. The parcels were then whisked off to other stations along the line and then taken by young employees on tricycles or on a horse and cart to their final destinations, depending on size, distance or importance. The rolling stock used was the day-to-day 1903-Central London multiple unit tube stock, but rather incredibly from 1911 there was a compartment built in aboard for a parcels porter to sort the mail as the train went along. That made it rather like a localised version of the Night Mail and Royal Mail Trains which operated on the main line railways above ground. According to 20th Century London, the Lightning Service Express was a profitable side-enterprise but was discontinued because of labour shortages in the First World War – and it never resumed. It’s interesting to note that TfL has more recently forged partnerships with parcel collection and delivery companies, so the Underground is once again being used as infrastructure in Britain’s mail distribution network.